After months of speculation, Lydden Hill has been confirmed as the venue for the double-header season finale of the 2018 Red Bull Global Rallycross Championship (GRC) on October 27-28. 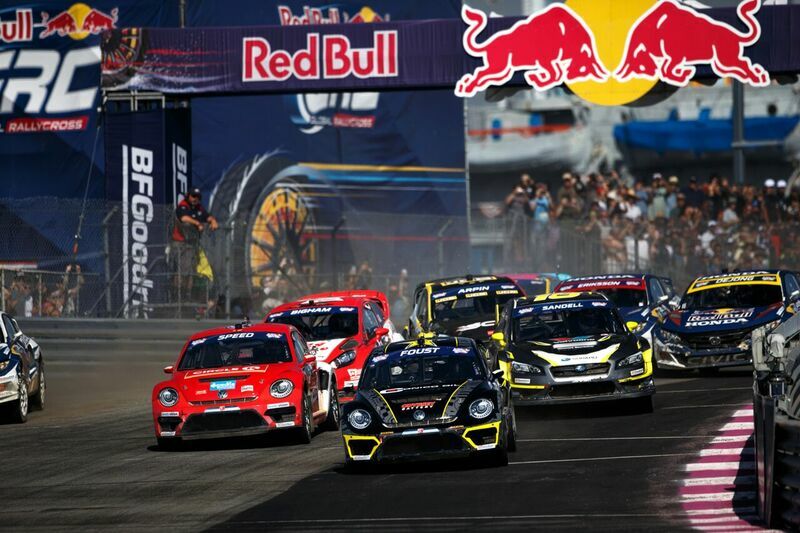 The birthplace of rallycross will welcome some of the finest rallycross racers from across the pond, together with a number of select 'wildcard' entries as the UK takes on the USA for the first time in Red Bull GRC history. Lydden Hill boss Pat Doran confirmed the announcement following lengthy discussions over the winter months: "I'm delighted to finally confirm Lydden Hill as the venue for the final round of the 2018 Red Bull Global Rallycross Championship. Lydden has been at the forefront of rallycross for more than 50 years and we've invested in the sport throughout that time. "It's fitting therefore that the GRC's return to Europe is here, where rallycross fans will get the opportunity to see the best GRC has to offer, including the series' signature 70ft table top jump, on our purpose-built rallycross track. We always receive great support from the motorsport fraternity, and I'm sure the fans will be out in force once again as we pull out all the stops to ensure the GRC season-finale is a sell-out success." Red Bull GRC's debut at Lydden Hill will mark the first rallycross event in Europe for the series since 2013, and the first-ever visit for many of its drivers to the continent. Expected participants include three-time defending series champion Scott Speed and past Lydden Hill race winner Tanner Foust. Alongside the top-level competition, this year's Red Bull GRC Lydden Hill will also serve as the inaugural season finale for the series' new Polaris RZR® class. "Bringing Red Bull Global Rallycross to Lydden Hill's historic venue makes perfect sense for the series' long-awaited return to Europe." said Red Bull GRC CEO Colin Dyne. "Our teams and drivers are looking forward to battling it out for the championship on the circuit where the sport first began, so fans will be sure to see some of the most intense racing of the year over this double-header weekend."